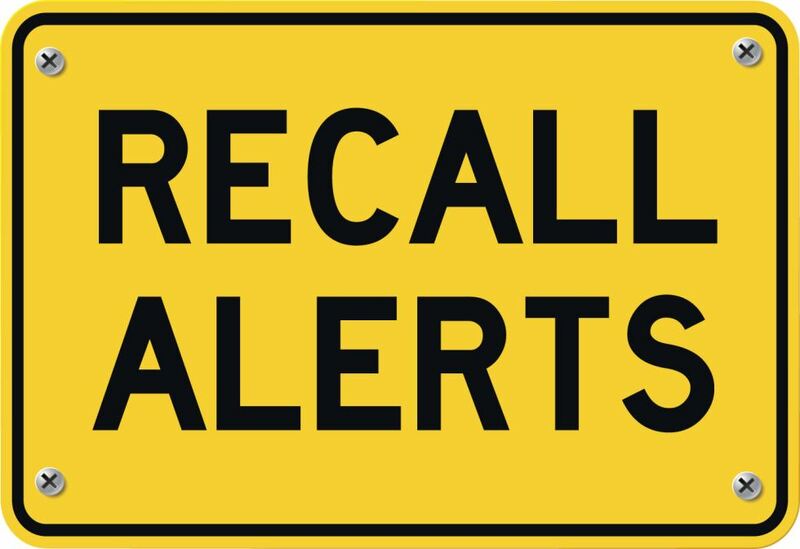 The following recall notices are from the National Highway Traffic Safety Administration (NHTSA). To search for recalls, investigations, and complaints by vehicle year, make, and model, visit www-odi.nhtsa.dot.gov/owners/SearchSafetyIssues. NHTSA’s Vehicle Safety Hotline is (888) 327-4236. Recall 15V-491: Certain 2014-2015 Tradition, 2014-2016 Full House, 2006-2016 Elite Suites, and 2013-2016 Estates fifth-wheels. Front side reflex reflectors are located above the maximum height of 60 inches. DRV, (260) 562-1075. Recall 18V-079: Certain 2019 Attitude travel trailers. The vehicle’s tires have an incorrect load range. Eclipse, (951) 684-6868. Recall 18V-077: Certain 2015-2016 Aspire and 2017-2018 Insignia motorhomes built on Spartan chassis. The vehicles have an undersized air brake supply reservoir. Spartan Chassis, (800) 543-4277 or Entegra, (800) 517-9137. Recall 18V-051: Certain 2018 Rockwood, Flagstaff, and Coachmen Freedom Express, and 2017-2018 Palomino, XLR Toy Hauler, and Coachmen Viking travel trailers equipped with a Smart Jack power tongue jack from Lippert Components. The jack’s laminated plastic touch pad may crack or separate, allowing water to enter. Rockwood and Flagstaff, (574) 642-5164; XLR, (574) 642-0432; Viking, (269) 467-4600; Freedom Express, (574) 825-8205; Palomino, (269) 432-3246; Lippert Components, (574) 538-4514. Recall 18V-066: Certain 2018 Cherokee travel trailers. The amber side lights are mislocated, and the vehicles may be missing intermediate side reflex reflectors. Forest River, (260) 499-2100. Recall 18V-067: Certain 2018 Palomino PaloMini travel trailers. The mounting bracket for the single propane bottle may break, allowing the bottle to detach from the vehicle. Forest River, (269) 432-3246. Recall 18V-080: Certain 2018 Georgetown motorhomes. The vehicle has 18-gauge wires connected to a 30-amp circuit breaker; the wires cannot handle the potential amp draw. Forest River, (574) 206-7600. Recall 18V-081: Certain 2018 Cardinal fifth-wheels. The vehicles have no emergency exit window in the rear wall. Forest River, (574) 206-7600. Recall 18V-074: Certain 2018 Open Range travel trailers. The federal label incorrectly lists the gross axle weight rating. Highland Ridge, (260) 768-7771. Recall 18V-072: Certain 2017 and 2018 Eagle 333BHOK travel trailers. The safety chains are not rated properly for the vehicle’s 12,500-pound gross vehicle weight rating. Jayco, (800) 283-8267. Recall 18V-073: Certain 2018 Eagle EA, EB, and ED travel trailers. The federal label and cargo cargo carrying capacity label may incorrectly list the gross vehicle weight rating. Jayco, (800) 283-8267. Recall 18V-075: Certain 2018 Eagle travel trailers. The flame on the Furrion cooktop can become inverted or go out when the furnace is turned on, but propane will continue to flow to the burners. Jayco, (800) 283-8267. Recall 18V-078: Certain 2017 Precept motorhomes. The brake hydraulic electronic control units (HECU) may be missing valve block ball plugs. Jayco, (800) 517-9137. Recall 18V-063: Certain 2017-2018 Durango Gold fifth-wheels. The rear sofa may limit visibility of the rear exit window label and/or the sofa cushion may restrict access to the exit window handle. K.Z., (800) 768-4016. Recall 18V-091: Certain 2018 travel trailers, models 1985, 1995, 2185, 2155, 2295, and 2375. The battery may move within its compartment while the vehicle is in motion, causing the door to open and allowing the battery to fall out. Lance, (661) 949-3322. Recall 18V-059: Certain 2018 Little Guy Max travel trailers equipped with a Smart Jack power tongue jack from Lippert Components. The jack’s laminated plastic touch pad may crack or separate, allowing water to enter. Liberty, (877) 545-4897. Recall 18V-061: Certain 2018 Essex motorhomes built on Freightliner chassis. The low-beam headlights do not illuminate when the high-beam headlights are activated. Newmar, (800) 731-8300. Recall 18V-062: Certain 2017-2018 Ventana, Ventana LE, and Dutch Star motorhomes built on Freightliner chassis. The low-beam headlights do not illuminate when the high-beam headlights are activated. Newmar, (800) 731-8300. @2017 - FamilyRvingMag. All Right Reserved.